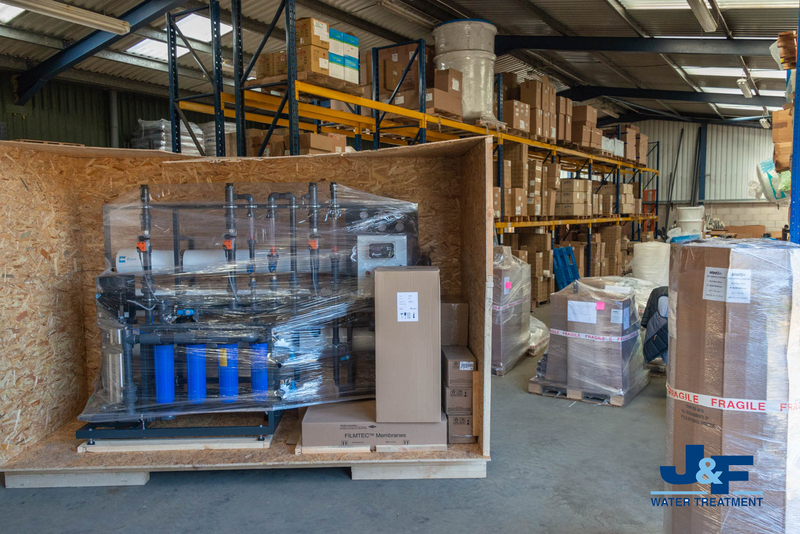 The latest Commercial Reverse Osmosis System is ready for despatch. This is for a large poultry unit and it is capable of producing 6 m3/hr of processed water. It is being supplied complete with pre-filters and automatic anti-scalent dosing station. The farm wanted to source water from a borehole, but a water analysis revealed it to contain high levels of TDS (total dissolved solids), Sulphates, Hardness and Manganese. The system that we designed will provide water of a quality essential to maintain a healthy flock of birds; as contaminated water can lead to a whole range of health and performance related problems, whilst also providing significant saving compared to using “mains” water! This month we will be launching our case studies and FAQ sections on our website so stay tuned to find out more about the types of industries we work with and if we can provide a complete water treatment solution for you. Get in touch today to find out more.